Early next week the North Carolina General Assembly is expected to release a budget that may include taking health coverage away from people who do not meet work requirements. Faced with unrealistic work hour quotas, these proposals will mean that many adults, such as new moms, will lose essential health coverage. Loss of coverage, and the decline in health that will result, will make employment and employment prospects more difficult and will push women and their families further into poverty. While it remains to be seen if CMS would approve such a harsh proposal, its potential impact would be felt throughout North Carolina. These requirements would likely require new mothers to return to work 60 days after birth, at which time pregnancy Medicaid expires. 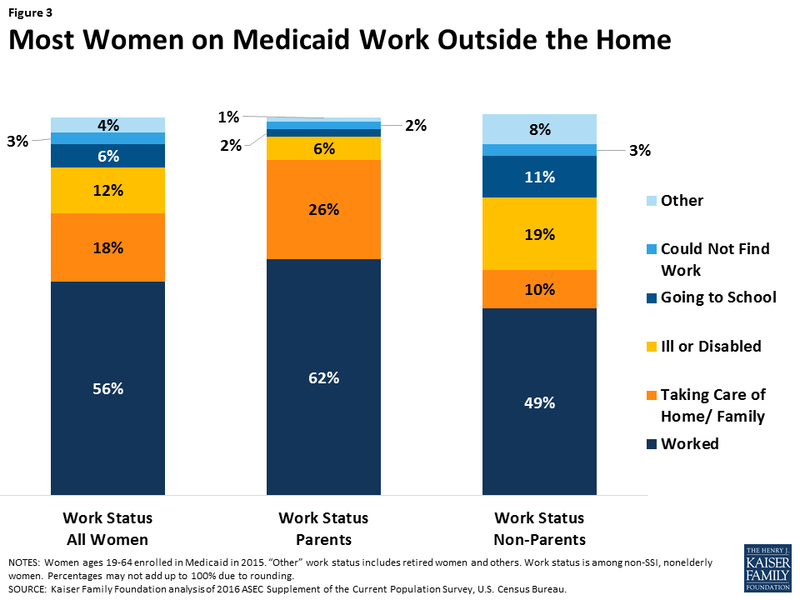 In reality, many mothers do end up working; data show that 62% of parents on Medicaid work. Rushing new moms into the workforce is bad for infant health, and poor maternal-infant bonding is known to have lasting effects. Research shows that mothers’ early return to work has negative impacts on the duration of breastfeeding, infant vaccinations, and regular checkups, and may diminish maternal-infant bonding as a result of less time spent together and increased maternal stress. Studies show that children are more likely to receive the care they need if their parents have insurance coverage, suggesting that the health of low-income infants and children would decline as a result of work requirements for parents. A rigid work requirement for moms and parents with low-income fails to account for the cost and difficulty of finding child care and job market realities. And in the case of North Carolina, such a policy would create a cliff for many families where increasing work hours and income will push them into the coverage gap. For example, a single mother with two children who works 23 hours per week at minimum wage, earning only $667 per month, would be ineligible for Medicaid because their income is too high. With high-quality child care costing a median $832 per month per infant in our state in 2017, North Carolina mothers and families are already forced to make tough decisions about returning to work. To protect maternal and child health in North Carolina, policymakers should be closing the coverage gap not pushing more people into it without the prospect of accessing the tools to live healthy and financially secure lives.